On Thursday, 17th of August, Barcelona suffered a horrible terror attack. A van crushed into a crowd in Las Ramblas promenade. 13 people were killed, more than 120 were injured. The people were from 34 countries. The No tinc por manifestation showed the power of diversity, love and strength. The Barcelona horror united people from different nationalities, political opinions and cultures. 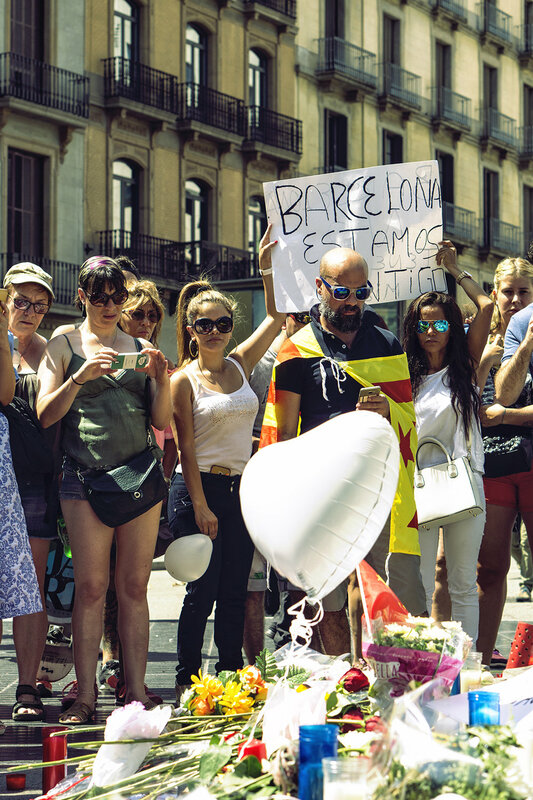 People gather in Plaza Catalunya and Las Ramblas after a one minute’s silence for the victims of the terrorist attack of the day before, on Friday in Barcelona, Spain. People gather around the roses in Plaza Catalunya and Las Ramblas after a one minute’s silence for the victims of the terrorist attack in Barcelona, Spain.